What happens during a wedding ceremony? Well, this really is where it all gets very exciting. 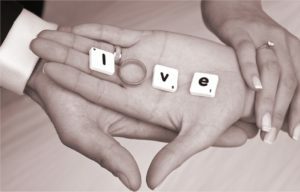 With a civil ceremony everything is possible to make your union with your partner so special and personal. As a rule, couples do like to have the marriage vows and this can be traditional, non traditional or ones that you write personally with all the little touches that will make your vows so meaningful. It is such a beautiful moment when a couple declare their love and commitment to each other. Sometimes couple involve their special friends or a family member to read a poem or prayer should you wish to include a religious element. For mixed faiths, we can include everyone so the ceremony reaches out and brings everyone close together. Another symbolic ritual is the exchange of rings. There are infinite ways we can do this: with the traditional best man or woman, a child carrying the rings on a soft cushion, in a basket, carried in by your pet… let your imagination fly! And everyone loves that first kiss! 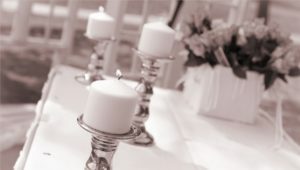 What else can we do to make your ceremony extra special? You may have heard of the saying ‘to tie the knot‘. The knot is symbolic of a lasting unity. Knots have a place in the folklore of many cultures and is symbolic of unbreakable promises. 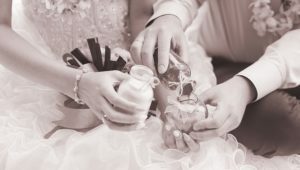 The tradition of tying a knot is still used in marriage ceremonies by wrapping the wrists of the bride and groom with twine. It is such a beautiful moment. You do not need to get married on a beach to have a sand ceremony. Also known as ‘blending of the sand’ is a beautiful way for you as a couple to have a unique moment and display of unity. Each of you hold a jar of coloured sand. This represents you as individuals and then together you will pour the contents into a third empty jar, symbolising your union forever. It makes a beautiful keep-sake through the years. The lighting of a unity candle is yet another beautiful ceremony which uses two taper candles with a large pillar candle (called the “unity candle”) in the centre. At the beginning of the wedding ceremony, a representative from each family usually the mothers, light the two taper candles. Later in the ceremony, usually after the vows, the wedding couple use the two taper candles to light the unity candle together. You can have more candles to involve children or the special people in your lives. The unity candle is then yours forever. This is a wonderful way to celebrate the day you were married and you can do it at anytime in your lives. 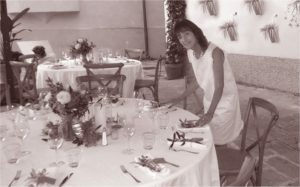 Perhaps if there are additional members to the family, they can be included or especially touching for anyone who could not attend your wedding day and will now have the opportunity to be a part of such a special day. Again this is the perfect opportunity to include elements you did not have on your wedding day to further demonstrate your love and commitment for each other. And baby makes… Many families are choosing to celebrate a new addition to the family without there being any religious aspect. A baby is a joyous occasion and the baby naming ceremony is a wonderful occasion to introduce baby to all your friends and family. Love is in the air – Will you marry me?